Yves Zenou is a Professor of Economics at Stockholm University since September 2007. Yves Zenou is also affiliated to the Research Institute of Industrial Economics (IFN, Stockholm), the Groupe d'Analyse des Itineraires et Niveaux Salariaux (GAINS, Le Mans), the Center for Economic Policy Research (CEPR, London) and the Institute for the Study of Labor (IZA, Bonn). He is the Editor-in-chief of Regional Science and Urban Economics, and Associate Editor of the Journal of Urban Economics, Journal of Urban Management, Journal of Public Economic Theory, Scandinavian Journal of Economics, and Annals of Economics and Statistics. His fields of interest are (i) social interactions and network theory, (ii) search and matching theory, (iii) urban economics, (iv) segregation and discrimination of ethnic minorities, (v) identity and assimilation of emigrants, (vi) economics of crime and (vii) education. 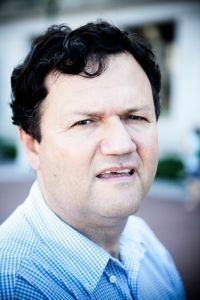 His research has been published in journals such as Econometrica, Review of Economic Studies, Journal of Economic Theory, Journal of Labor Economics, Journal of Public Economics, Journal of the European Economic Association, Economic Journal, Journal of Development Economics, Journal of Urban Economics, etc. He has also published a book: "Urban Labor Economics" at Cambridge University Press in 2009.